The rent at The Overlook at St. Thomas Apartments ranges from $1,034 for a one bedroom to a $2,535 two bedroom. Apartments in this building are about 54% more expensive than the Louisville-Jefferson average. This is a pet-friendly apartment. This apartment is in Louisville-Jefferson. The Overlook at St. Thomas Apartments has a Walk Score of 31 out of 100. This location is a Car-Dependent neighborhood so most errands require a car. Nestled in one of Louisville's finest neighborhoods, amidst custom built homes and rolling hills, The Overlook is an impeccably designed community of exquisite quality and detail. Choose from one of fourteen unique floorplan designs that are sure to match even the most discerning taste. Experience a place where you can indulge your lifestyle with convenience, accessibility and state of the art amenities that only The Overlook can offer. Come and check out the view from the top, where your satisfaction is not our goal, it's our standard of excellence. Explore how far you can travel by car, bus, bike and foot from The Overlook at St. Thomas Apartments. The Overlook at St. Thomas Apartments has some transit which means a few nearby public transportation options. 6800 Steeprun Road compared to all of Louisville-Jefferson. How do you feel walking near 6800 Steeprun Road? 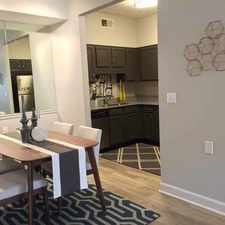 The Overlook at St. Thomas Apartments is in the city of Louisville-Jefferson, KY. Louisville-Jefferson has an average Walk Score of 33 and has 597,337 residents.